Noah Galvin Photos, News, and Videos | Just Jared Jr.
Kaitlyn Dever and Beanie Feldstein play two over-achieving high school besties who forgot to have fun in the upcoming movie Booksmart and the first trailer was just released! 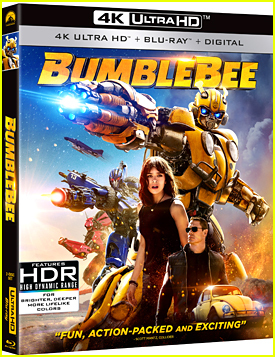 The film is actress Olivia Wilde‘s directorial debut and it just had its premiere at the SXSW festival. 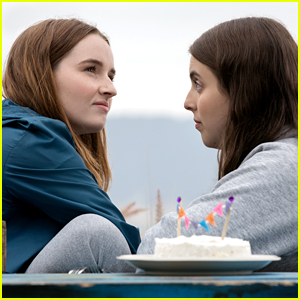 Told from a wildly original, fresh and modern perspective, Booksmart is an unfiltered comedy about high school best friends (Kaitlyn and Beanie) and the bonds we create that last a lifetime. Capturing the spirit of our times, the film is a coming of age story for a new generation. The star-studded cast also includes Olivia‘s longtime partner Jason Sudeikis, Jessica Williams, Lisa Kudrow, Will Forte, Noah Galvin, Molly Gordon, and Billie Lourd. The Fosters' Hayden Byerly & Girlfriend Alyssa Jirrels Are Still Going Strong! Hayden Byerly and girlfriend Alyssa Jirrels look happier than ever! The cute couple attended the 2016 TrevorLIVE LA event held at The Beverly Hilton Hotel on Sunday evening (December 4) in Beverly Hills, Calif. They were joined by Thundermans star Kira Kosarin, and The Real O’Neals‘ Noah Galvin and Matt Shively. Hayden and Alyssa first stepped out together earlier this year at the premiere of Zootopia. FYI: Matt is wearing a Hugo Boss shirt and suit, Tommy Hilfiger tie, and Magnanni shoes. Olivia Holt, Yara Shahidi, and Brec Bassinger strike poses at the Brooks Brothers Celebrates the Holidays with St. Jude Children’s Research Hospital event on Saturday (December 3) in Beverly Hills, Calif. 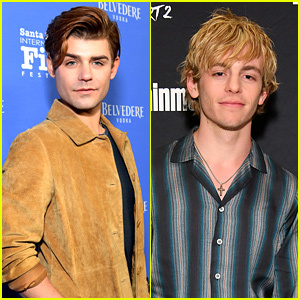 The young stars were joined at the event by Yara’s Black-ish co-star Marcus Scribner, Derek Hough, The Real O’Neals‘ Noah Galvin, Matt Shively, Bebe Wood, and Jay Ferguson, Brec Bassinger, Spencer List, Justin and Emily Baldoni, Ashley Greene and boyfriend Paul Khoury, Camilla Belle, and Claire Holt with brother David. Also in attendance were Jaime King and her sons Leo Thames and James Knight, How To Get Away With Murder‘s Jack Falahee, Matt McGorry, and Charlie Webber, Emile Hirsch, Jamie-Lynn Sigler, Chrissy Metz, and Dan Bucatinsky. Matt Shively and Bebe Wood step out for the PaleyLive: The Real O’Neals Season Two Screening & Conversation event held at The Paley Center for Media on Tuesday night (October 11) in Beverly Hills, Calif. The two stars of the show joined cast mates Jay R. Ferguson, Mary Hollis Inboden, Noah Galvin, and Martha Plimpton, for the event. 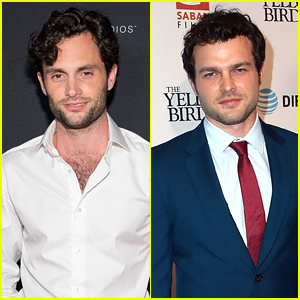 Matt, Bebe, Noah and the rest of the cast joined in conversation about the ABC show, which centers on the image-obsessed Irish-American Catholic mom (Plimpton), who makes every effort to hide her family’s troubles from public scrutiny, including a pending divorce and her teenage son’s recent coming out. 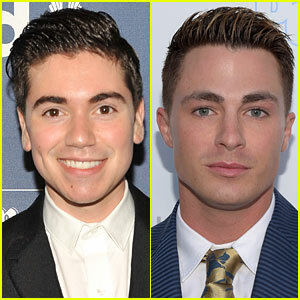 The 22-year-old openly gay star of The Real O’Neals criticized the way that Colton, 27, came out of the closet last month. Noah has since written an apology letter for the “brazen and hurtful” comments in his Vulture article. 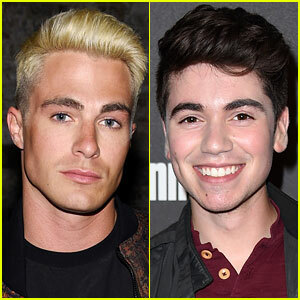 Noah Galvin created headlines today for his candid thoughts on Colton Haynes and the gay community and now he is apologizing for his “brazen and hurtful” comments. The 22-year-old The Real O’Neals actor criticized the way that Colton came out as gay and also said some things about Modern Family actor Eric Stonestreet‘s acting.